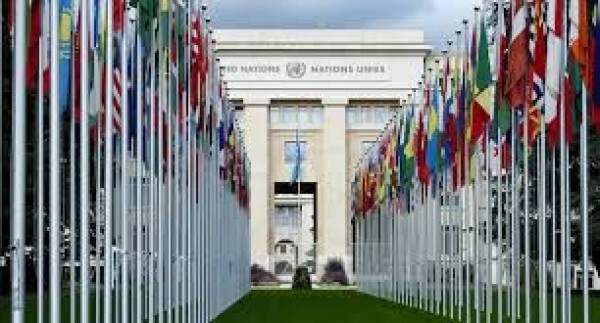 An international forum on the situation in Afghanistan was held in Geneva on 27-28 November in the Courtyard of the Nations, where the civilian aspects of assistance to the Afghan state were considered. The conference, organized jointly by Kabul and the United Nations, was attended by delegations from 61 countries and 35 international organizations, as well as representatives of civil society, the private sector and the media. – Afghanistan's neighbors face enormous risks associated with a protracted conflict, but will be able to reap undeniable benefits from a negotiated peace. They must continue to actively support and strengthen efforts aimed at peace, — UN Secretary General António Guterres said in his welcome video. Guterres called on all Afghanistan's partners to take advantage of the opportunities for cooperation and to contribute to the collective building of a prosperous and peaceful future. As EU Commissioner for international cooperation and development Neven Mimica stated at the Geneva conference, the EU will provide Afghanistan with a financial package worth €474 million for the implementation of projects in the field of state construction and public sector reform. The EU package will contribute to addressing peace and security issues and lay the foundations for a more stable and economically sustainable society. The high representative, EU Vice President Federica Mogherini, speaking at the conference, voiced a number of specific areas in which the European Union is ready to support Afghanistan and the Afghan people with the launch of peace talks. In particular, Brussels expressed its readiness to promote the expansion of trade and infrastructure projects with the participation of Afghanistan's neighboring countries in order to create new economic prospects that will be accessible and beneficial not only to Afghanistan, but to all regional partners. The conference on Afghanistan concluded with the adoption of the joint communiqué and the Geneva framework for mutual accountability. In particular, the communiqué in the section of the statement on economic development lists the most important infrastructure projects for the Afghan economy, in the implementation of which Turkmenistan takes an active part. Among them were such major regional projects like the TAPI pipeline, transportation and lapis Lazuli transit corridor, electricity projects TUTAP and TAP.